Welcome Back Kershaw ! 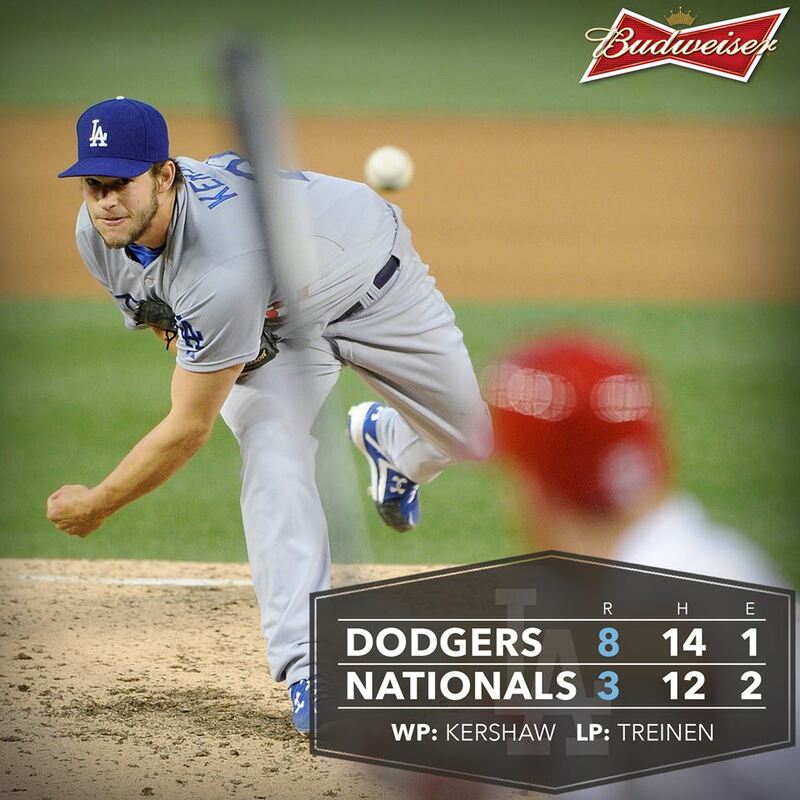 In his first start since the season opener down under, Kershaw throws 7 shutout innings while striking out 9 as the Dodgers behind 14 hits take the 2nd of 3 in Washington, defeating the Nationals 8-3 . With the Yankees doing battle against the Angels until tomorrow night, barring a post-season matchup against the Halos or even a Fall Classic showdown with, well…. 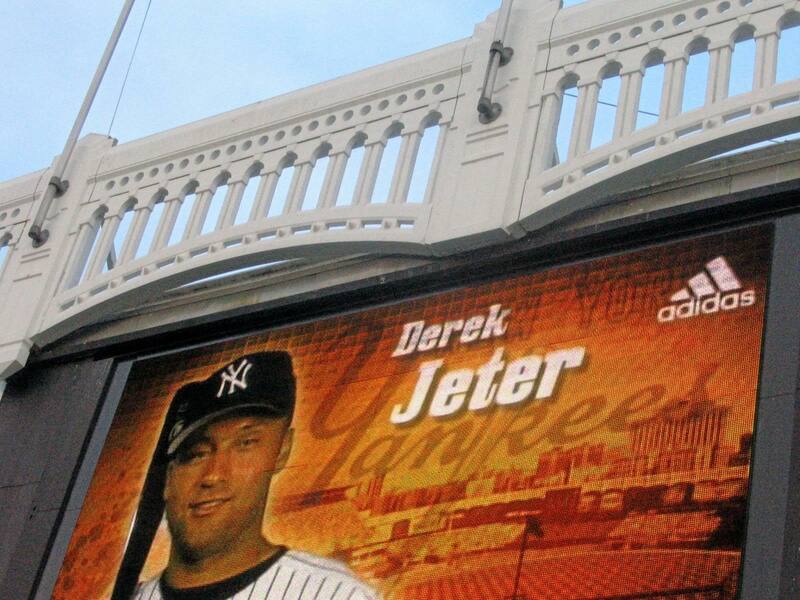 this will mark the final appearance in the southland for future Yankee Hall of Famer Derek Jeter. Even if you hate the sight of pinstripes, you got to give it up for the legend. 19 seasons all in the same uniform, 16 playoff appearances, 13 all-star appearances, 5 time World Champion, AL Rookie of the Year in 1996, 5 time Gold Glove and Silver Slugger award winner, 2000 World Series MVP. Yeah, we can go on. 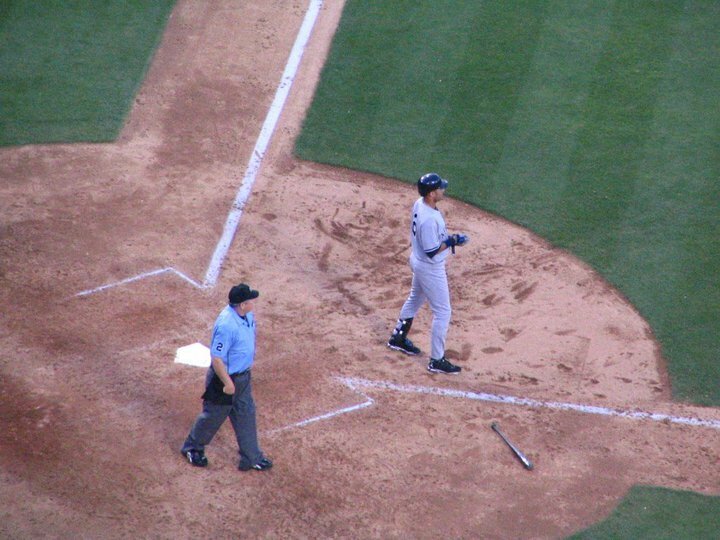 Derek Jeter, the game is going to miss you. Much respect from Erick Aybar, who coincidentally dons the number 2 in honor of Jeter, Mike Trout, who, growing up in nearby Millville N.J., idolized the Yankee captain, and baseball fans, from Dodger Blue to Angel Red to the future HOFer. Your browser does not support iframes. To this day I still say fan interference on Jeffrey Maier !!! Thanks for the memories Derek !!! For the 2nd straight year the Dodgers will be featuring an old-timers game this time featuring Dodgers from the last 5 decades. Here’s the list of Dodgers participants for this years game. On a side note, for me personally, I know i’m getting old when I’ve seen 21 of the 24 participants don the Dodger Blue at one time or another. Being that the Dodgers are playing the Giants this weekend I would have loved to see a battle of past Dodgers and Giants even for laughs. Speaking of, 4 of the participants, Dusty Baker, Reggie Smith, Darryl Strawberry, and Steve Finley, donned both the dreaded Halloween colors and the Dodger Blue at one time or another. Speaking of Steve Finley, perhaps you may remember this from 10 years ago….